For those of us who wear prescription eyeglasses, sometimes finding a way to protect our eyes from the sun is difficult. 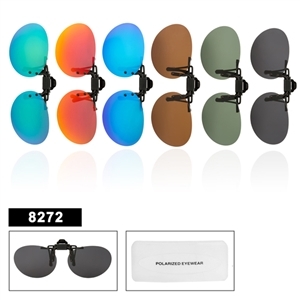 Prescription sunglasses are often very expensive and we forget to take them with us when we need them. 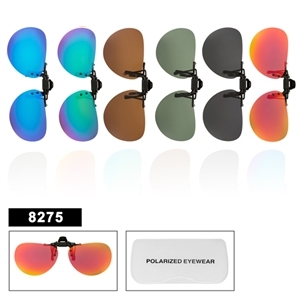 Trying to find regular sunglasses to fit over the top of your eyeglasses is near to impossible, so what do you do for your customers that wear prescription glasses? 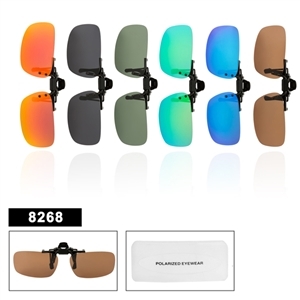 Clip On sunglasses are the perfect solution for those customers. 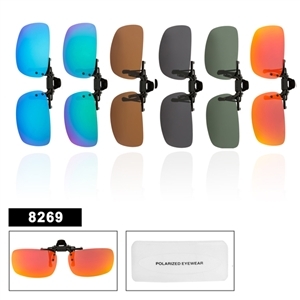 Instead of having to wear another pair of sunglasses over prescription glasses, they can just buy clip on sunglasses and attach them onto their glasses. 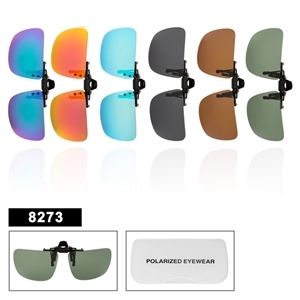 Our wholesale clip on sunglasses have a spring in the middle allowing each style of clip ons to be versatile and fit many different styles of prescription glasses. 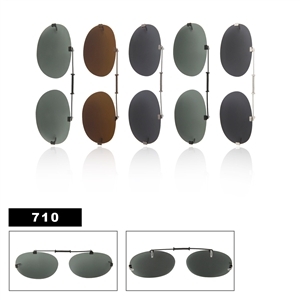 As a retailer you should keep many different shapes of clip ons in stock so that you are sure to have a style that will fit your customers eyeglasses. Clip ons are also a great thing to carry if you are setting up at fairs and festivals. 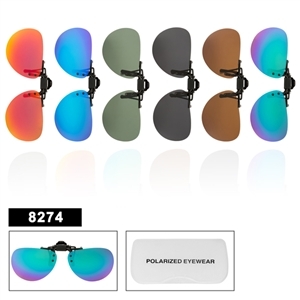 Many times people who wear prescription glasses will forget their prescription sunglasses and will purchase a pair of clip ons to wear while they are at the fair. So don’t forget to add these to your next order! 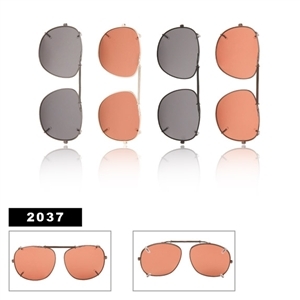 After you are done looking through the clip-on category be sure to see the popular wholesale designer sunglasses we offer.